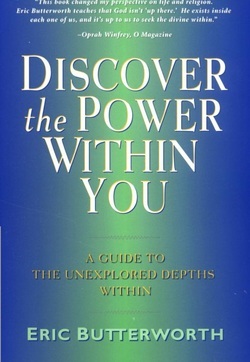 "Discover the Power within You" is a five-week class based on the book of the same name by Eric Butterworth. Unity Institute SEE continuing education credits are available. "There is only one way under the sun by which a man can achieve his 'Mt. Olympus' -- that is to say, achieve the realization and unfoldment of his own innate divinity -- and that is by bringing about a radical and permanent change for the better in his own consciousness," writes Butterworth. In this classic work, Eric Butterworth sees the divine within us all to be a hidden and untapped resource of limitless abundance. Exploring this ‘depth potential,’ Butterworth outlines ways in which we can release the power locked within us and express that as greater love, intuition and divine intelligence.